The SigmaTech™ Essential Set contains an exclusive selection of high performance synthetic fibers engineered to outperform traditional animal hair. I can't import how much I love Sigma brushes and I've already talked about the brand in my affiliate post lately here. 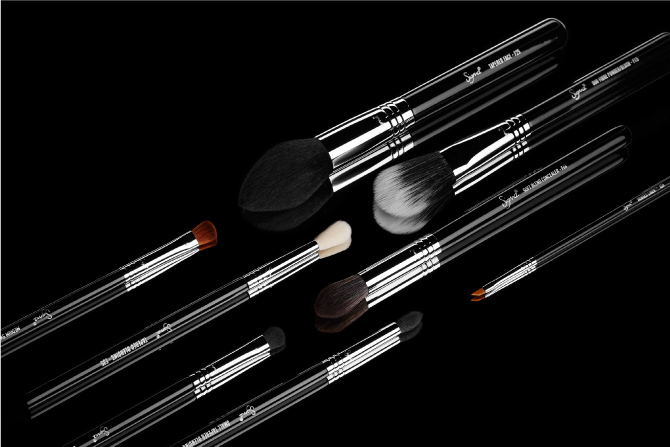 Sigma is famous for their high quality yet affordable makeup brushes. 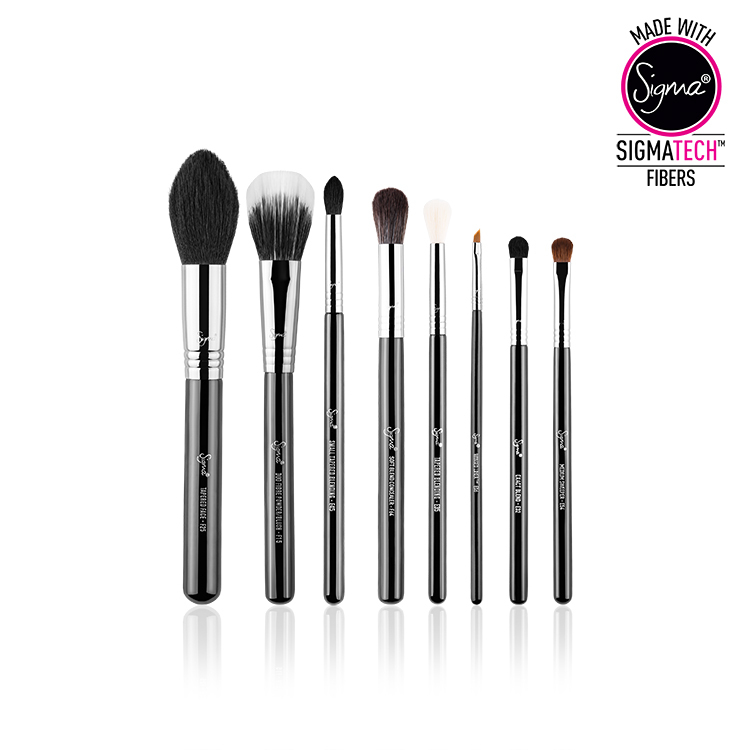 Lately they released brushes with SIGMATECH™ technology. Features high technology filaments with specialized tips developed to hold and deliver cream and powder products without any absorption into the bristles. Built to last, SigmaTech™ fibers are antibacterial, hypoallergenic, and will maintain their original shape and color even after multiple washes. F25 - Tapered Face - features a large, tapered tip brush head. This brush works great for applying powder products onto the cheekbones and temples with blush or bronzer. The tapered tip is also ideal for gently contouring the face. F64 - Soft Blend Concealer™ - features a large, soft brush head. This brush was designed to be used with cream or liquid products to conceal large areas of the face such as the cheeks and forehead. F15 - Duo Fibre Powder/Blush - features a duo fiber blend with deep beveled edges. This brush is perfect for application of highlight powder products on the cheekbone and especially well with mineral products to achieve a natural, delicate finish. E54 - Medium Sweeper™ - rush features a small, tapered brush head with a pointed tip. This brush is ideal for adding depth in the crease with control of product placement. Works great with dark shades of powder shadows keeping them in place. E32 - Exact Blend™ - features a short, slightly flat and dense brush head best for precise blending or adding a pop of color to the outer corner of the eye. E45 - Small Tapered Blending - brush features a small, tapered brush head with a pointed tip. This brush is ideal for adding depth in the crease with control of product placement. Works great with dark shades of powder shadows keeping them in place. E06 - Winged Liner™ - features a small, steeply angled brush head great for creating a winged liner look with precise control for all eye shapes. You can use code "SIGMAPINK" for the entire month of September and can save 10% OFF your order every time. No limits. 1 comment on "SIGMATECH™ ESSENTIAL SET"
These brushes look incredible. I always hear amazing things about this brand!